There are differing opinions about selling a house during the holidays. The conventional belief is that it is not ideal to sell in December because the market is on a so-called seasonal slowdown. However, more and more homeowners and estate agents are disregarding this traditional idea and putting their properties on the market even during the holiday season. The Internet and online property portals are some of the major drivers behind this change. So, which practice should you follow? Do you sell your house during the holidays or wait until the new year begins? Ultimately, the decision should depend on your personal circumstances. If you need to sell ASAP, then there is no point putting it off until the holiday season is over. Just make sure you that you understand what this endeavour entails, particularly the challenges you may encounter and how you should deal with them. There is no denying that a lot of homeowners still opt to sell their houses after the holidays. This is partly because they believe in the conventional wisdom. Another reason is that they do not want to make an already hectic season even more taxing. After all, selling a house is not a walk in the park. Hence, it is not unusual for the inventory to be lighter during holidays. This leads most people to think that competition is not that tough. However, this is not always true. Yes, houses are limited but so are buyers. 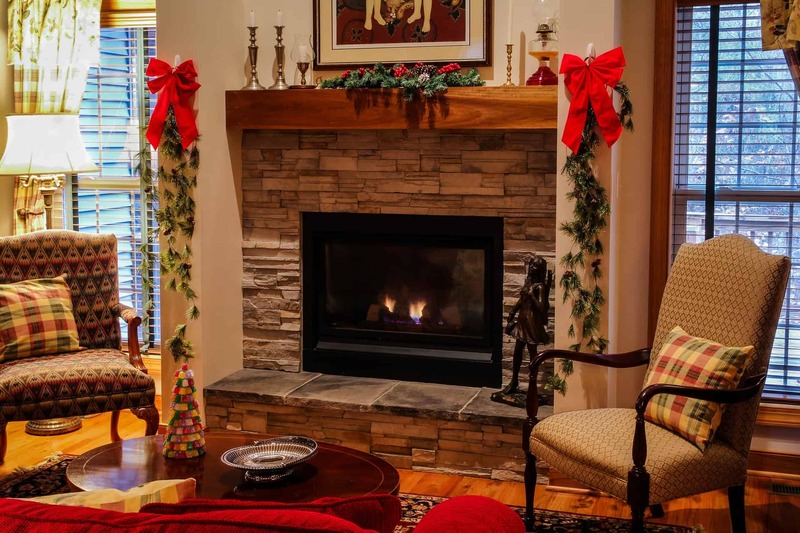 Just like sellers, many homebuyers know that the holiday season is an extremely busy time. Adding home shopping on their to-do list is not something they would do unless it is really necessary. Suffice it to say, majority of homebuyers delay purchasing a house until after December. So, while your competitors are few, buyers are scarce as well, making it more difficult to sell a house quickly. Given this fact, you need to ensure that your house is appealing enough. Don’t just stop at making your property presentable and clean. Make sure that it has an edge that’s going to leave a lasting impression on potential buyers. Homebuyers during the holiday season may be few, but a huge percentage of them are serious buyers. As stated above, people won’t go shopping for a house during the holidays unless they are really in need of one ASAP. Furthermore, these buyers are aware that their options are limited. Hence, once they see a house they like, they tend to make an offer immediately. They also make good offers. So, while selling can be tough at this time of the year, it is not impossible to get a buyer who’s willing to pay a fair price. Of course, there are still some serious buyers, especially those who are simply looking for an investment property, who give offers lower than the list price. Unless you are in a hurry to sell, do not accept lowball offers. Negotiate until you get a good price. If the buyer doesn’t budge, move on and wait until a better one comes along. Selling a house outside of the holiday season is already difficult as it is. Imagine what it’s like doing it in December. It can be incredibly challenging given how busy most people’s schedules are, including yours, this time of the year. Keep in mind, this endeavour entails preparing the place for viewing, answering inquiries and showing your house to would-be buyers. Furthermore, you need to have a flexible schedule to accept viewing requests at a moment’s notice. The probability of selling your house is higher when more potential buyers see your house. Unless you have the time and experience to take on this endeavour, it is best if you let a real estate agent sell your house during the holidays. Doing this can make the process less stressful and allow you to focus on enjoying the holiday festivities. By hiring a professional estate agent, you ensure that no opportunity is wasted to find a buyer with the best offer. You can count on him to answer inquiries promptly and accommodate viewing requests immediately. He can also take care of other house-selling matters, from staging your home to preparing some pertinent documents. If you haven’t moved out of your home yet, you are most likely planning to put up some decors for the holiday season. This shouldn’t be an issue if you are not selling your house. However, if you are, it’s best to keep your home décor-free. Remember, you do not know what the beliefs and practices are of the people viewing your property. Furthermore, it’s going to be a lot easier for would-be buyers to picture themselves living in your house if it isn’t peppered with Christmas ornaments. Meanwhile, if you can’t resist having holiday decors, make sure you do not overdo it. Decorate without making your house look cramped; it should still appear spacious. So, avoid putting up an overly tall Christmas tree and displaying wrapped presents. Use more red decors since this colour is known to be emotionally appealing. Lastly, do not cover important house features like the stained-glass windows and fireplace mantels. Selling your during the holidays can be challenging. But with the right preparation and the help of a professional real estate agent, it can be a stress-free and successful endeavour. Selling your house during the holidays? We have professional and trusted real estate agents who can help you sell at a good price. Call us at 01 495 9020 today!